Long sleeves can be shortened, hemlines can be altered - there are lots of options to consider when faced with damaged garments or articles in disrepair. Don’t toss out a shirt because of a broken button – sew a new one on with some closely-matched thread. Patch a hole in your jeans and keep them to wear around the house. Sewing is simple and a handy life skill. 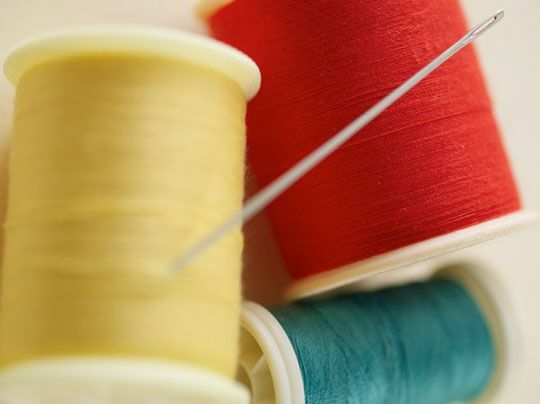 Being able to sew will extend the life of your clothes and keep you from buying new ones when you don't have to. If you can't sew, taking a batch of clothing in disrepair to your local drycleaner for fixing could also be an option to consider.